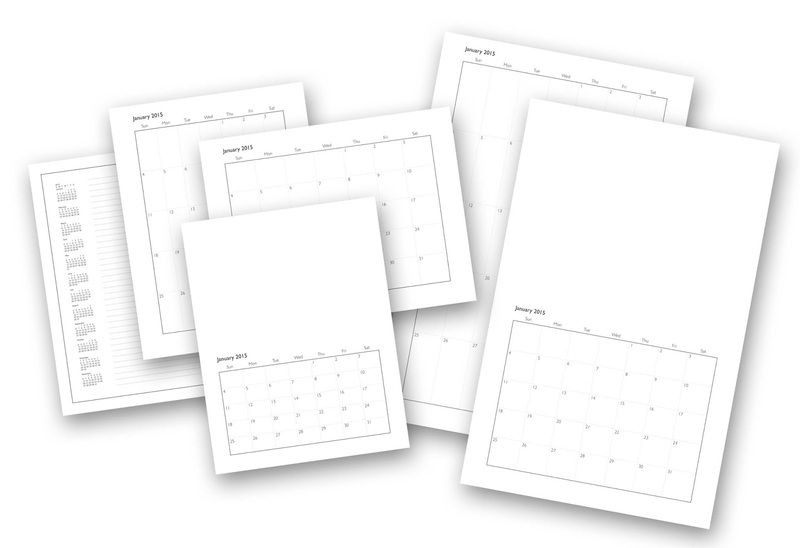 I created a set of six 2015 Calendar templates in a PDF format. These PDF's can be printed from any PDF viewer and they can also be edited in Adobe Illustrator. I left the top half blank in two of the templates so that you can add your own paintings or photographs to them. Calendars are very tedious and boring to layout but for less than the cost of a lunch you can have 6 templates and spend your time on the fun part: adding your artwork and adding your own touches to them!